Premier League refereeing | NUFC Blog. Archive for tag: Premier League refereeing. Another poor performance from another referee. 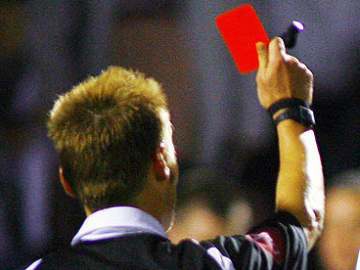 Give shoddy refs the red card! I can only assume that in a former life, Newcastle United must have been some form of evil tyrant that tortured that families of referees up and down the land. Perhaps not, but there has to be some excuse for some of the lousy officiating that Newcastle have found themselves on the end of so far this season. There is a saying that goes something like ‘it’s tough at the top’. Well let me tell the people who said that that it is far far tougher at the bottom, and getting wrong decisions going against you all the time makes it that much harder. I’m not talking about small decisions here, I’m talking whopping great massive decisions that either aren’t being spotted or are just being ignored. Take your pick.